If you’re looking for a way to pay it forward, consider participating in Operation Christmas Child. 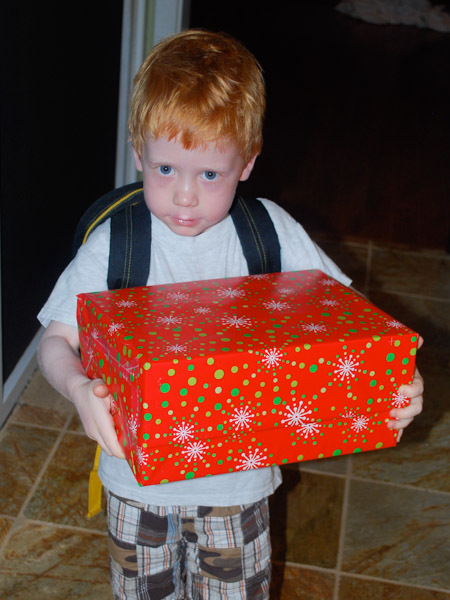 The program sends shoeboxes filled with gifts to needy children all over the world. 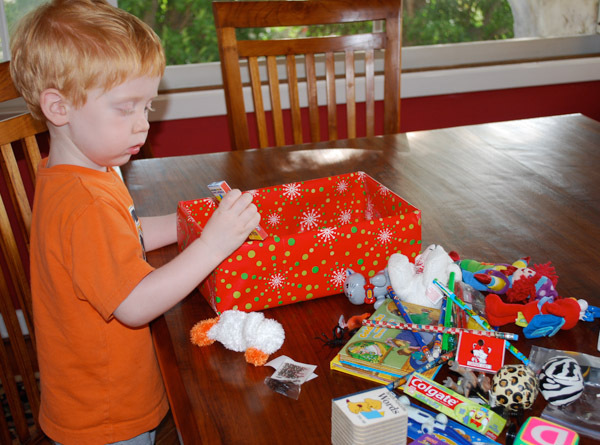 Operation Christmas Child is run by a humanitarian organization called Samaritan’s Purse. This year marks the program’s 20th anniversary. 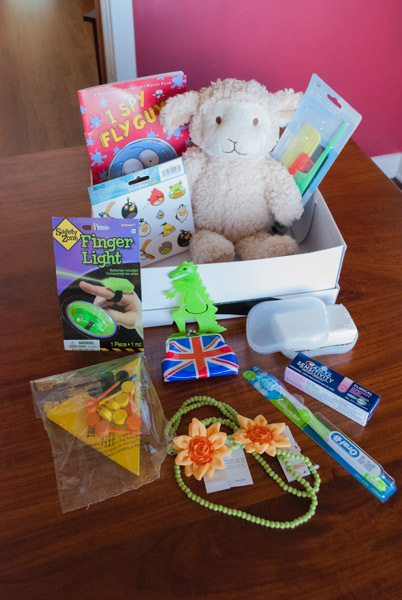 Participants fill a shoebox with gifts for a girl or a boy in another country. We have filled shoeboxes for the past five years. It has been a really nice way to make “thinking of others” a hands-on activity for the whole family. What to include? 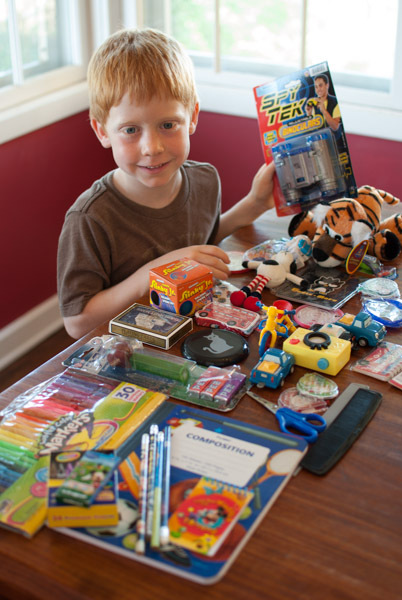 Consider goodies such as slinkies, balls, stuffed animals, jump ropes, flashlights, hair clips, jewelry, toy cars, coloring books and crayons, and art supplies. We keep a large empty shoebox in the closet that we fill throughput the year with trinkets that come home from birthday parties, goodie bags from school, toys from restaurants, a puppet from a sports event, even some stocking stuffers that the kids wanted to save for the following year. My kids get a new t-shirt every time they enroll in gymnastics, so we set these unused shirts aside for the next box. This way “thinking of others” becomes a yearlong discussion, not just one night, the week before the box is due. Yes, sometimes they look wistfully at that toy they put in the shoebox months ago and want it back, but chances are they have something very similar already. We discuss what it might feel like for another child to receive it for the first time. We do not spend very much money at all on this project. 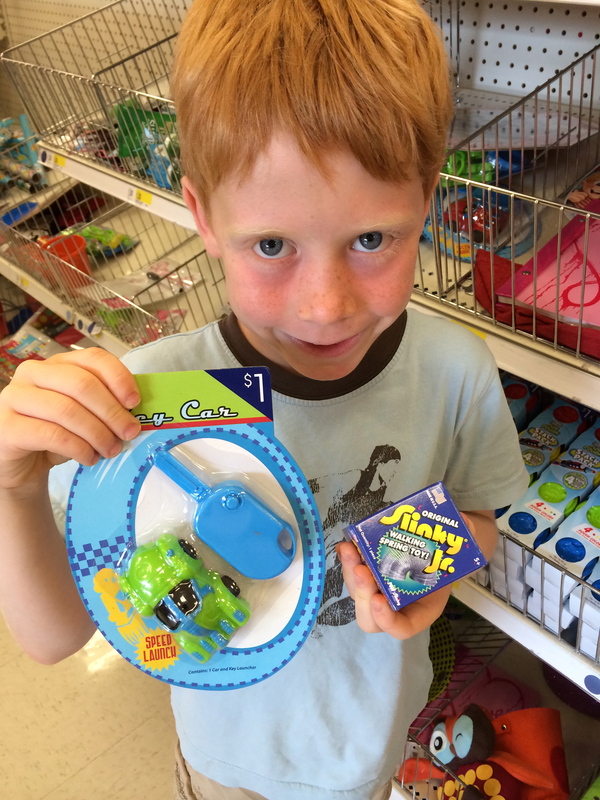 A week or so before it is due, the kids tag along to Target and choose a toothbrush and toothpaste kit, a bar of soap and soap holder, and some combs. We also take a peek at the dollar section up front. We always seem to have numerous colorful, unused pencils at home, but we purchase a pencil sharpener and journal or pad of paper. Do not include liquids, breakable items such as snow globes, or war-related items such as guns or knives. No chocolate or food is allowed, but hard candy is okay. Just bag it separately. 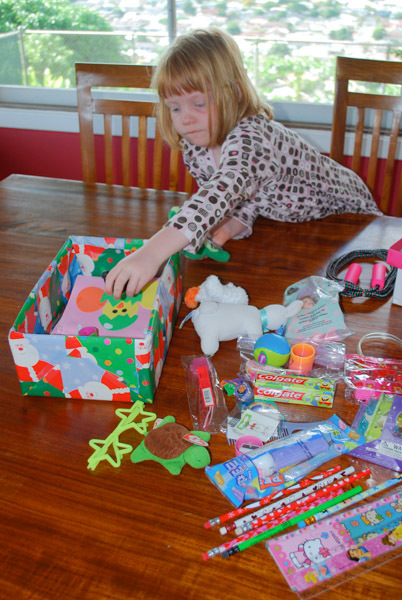 We usually pack our Operation Christmas Child box right after Halloween so the kids can include some of their candy. 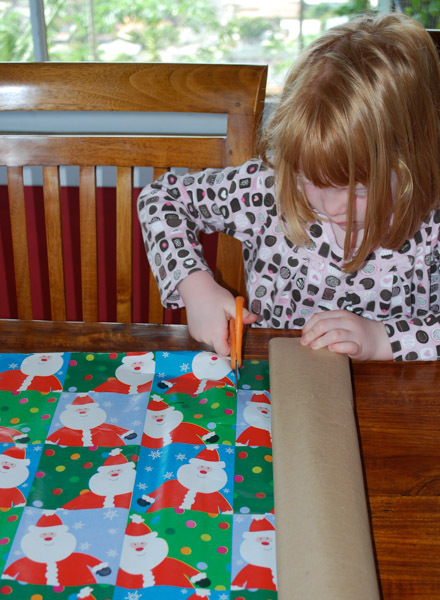 You can wrap your gift (but you have to wrap the lid separately) or you can leave it unwrapped. 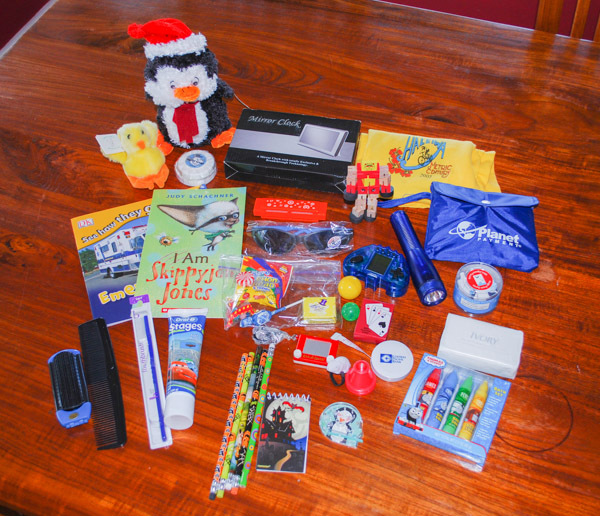 You will be asked to print out labels so that you can specify if your box is for a boy or a girl, and you’ll need to specify the age range (2 to 4, 5 to 9, or 10 to 14 years old). Secure the lid with a large rubber band, attach your label, and drop it off. The organization requests a $7 donation for each box. If you donate online you can track where your box goes. Last year our boxes went to Indonesia. The year before they went to Nepal. 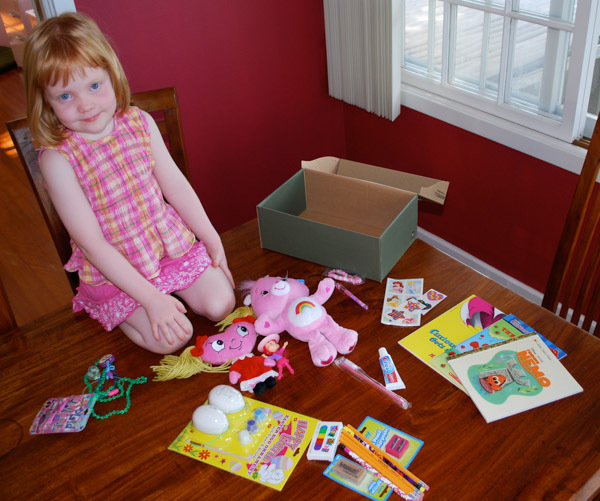 Children are invited to include a letter with the hopes the recipient will write back. 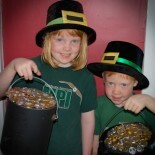 My kids have not tried this yet, but we plan to it this year. 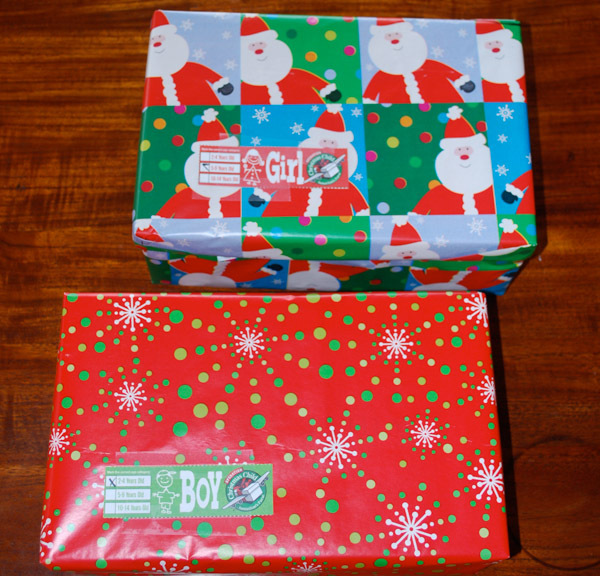 Shoeboxes are due the week of Nov. 18 to 25. Head to samaritanspurse.org for more information and to find a drop off location near you. Oh, and start a shoebox for next year. You will be amazed at how many items you can accumulate in a year! 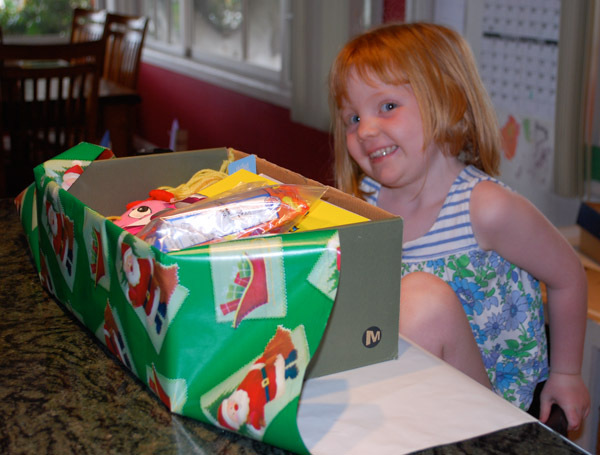 This entry was posted on November 1, 2013 by mdaucello in Christmas, Holidays and tagged Holidays, operation christmas child, pay it forward, shoebox.